United Nations (United States) (AFP) - Syria's envoy to the United Nations on Monday dismissed as fabrications reports that civilians were dying of starvation in a town besieged by government forces. Ambassador Bashar Jaafari spoke after a convoy of 44 trucks loaded with food, baby formula, blankets and other supplies entered Madaya, where medical charity MSF says 28 people have starved to death since December 1. 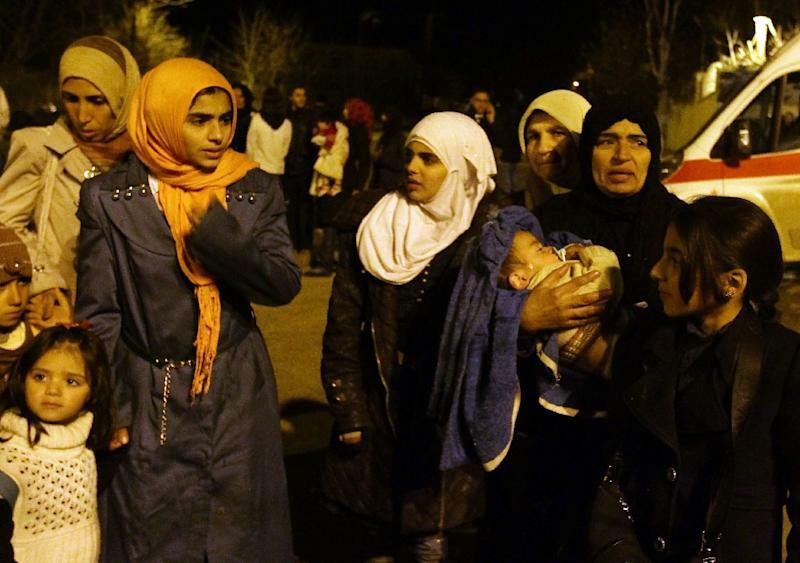 "Actually, there was no starvation in Madaya," Jaafari told reporters at UN headquarters. "The Syrian government is not and will not exert any policy of starvation on its own people." The ambassador said his government had in October approved aid deliveries to Madaya that would have lasted for more than two months and accused "terrorists inside" the town of stealing the supplies. Jaafari charged that journalists reporting on the starvation from Qatari-owned Al-Jazeera and the Saudi-backed Al-Arabiya television networks were "mainly responsible for fabricating these allegations and lies." Syria has been at odds with Saudi Arabia and Qatar for arming rebels fighting President Bashar al-Assad's forces in the nearly five-year war. The ambassador suggested that reports of starvation were aimed at "demonizing" the Assad regime and "torpedoing" peace talks planned for January 25 in Geneva. The UN Security Council was meeting behind closed doors to discuss the humanitarian crisis in Syria following the deliveries to Madaya and to two other towns besieged by the rebels: Fuaa and Kafraya. The United Nations says it is struggling to deliver aid to about 4.5 million Syrians who live in hard-to-reach areas, including nearly 400,000 people in 15 besieged areas. Britain and France are calling for an end to the sieges. More than 260,000 people have been killed in Syria since the conflict began in March 2011 with anti-government demonstrations.